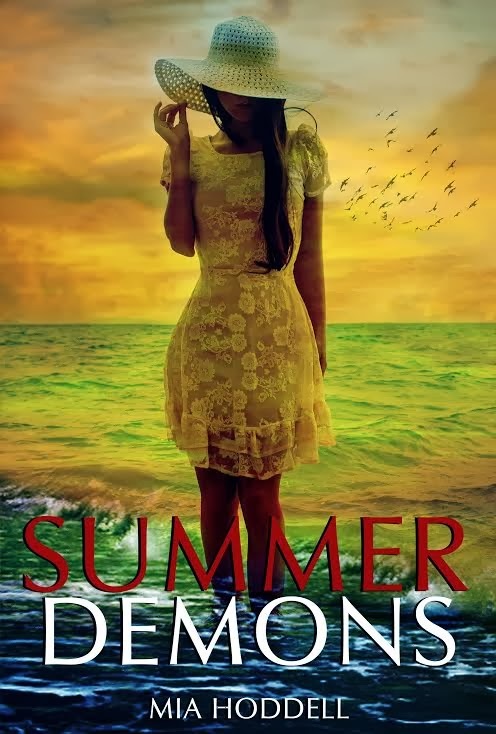 Just wanted to let everyone know that Summer Demons by Mia Hoddell is FREE today and tomorrow so make sure you get your now! And remember to enter the giveaway below to win a $5 Amazon gift card (open to US and UK residents only!). “Jenna Shaw ran away to escape her past. In fact, she jumped on a plane and flew to Portugal to try and forget it. However, it turns out leaving everything behind isn’t as easy as it sounds. Get it FREE this weekend only HERE! Rather than listen to the logical side of her brain, her body had other ideas. Shuffling back, she put a bigger distance between her face and the abnormal pool beneath her. As her toes dipped into the cool water behind her though, she flinched, automatically drawing herself up so that no part of her body was near the edge. No matter how disgusted she was, she couldn’t stop staring; her eyes were hypnotized by the gentle movements that swirled the colour into the water even more. The red had become so thick that not one tile beneath the surface was visible. Mia Hoddell lives in the UK with her family and two cats. She spends most of her time writing or reading, loves anything paranormal and has an overactive imagination that keeps her up until the early hours of the morning. With three poems published before the age of sixteen, Mia moved on to short stories but finding she had too much to tell with too little space, Mia progressed to novels. She started her first series (The Wanderer Trilogy) at the age of fourteen and since then hasn’t stopped writing. Elemental Killers is her second series and with an ever growing list of ideas, Mia is trying to keep up with the speed at which her imagination generates them. For more about Summer Demons check out these sites! That was a very intriguing excerpt, now I want to know what happened in her past!